Get Foundation Drainage Systems In Irving. 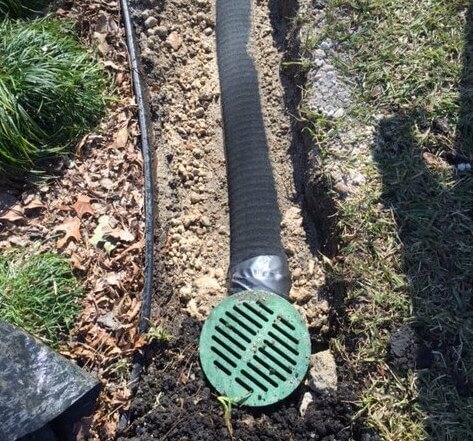 French Drain Installations, Surface Drains, Yard Systems Prevent Water Problems. Need to install a drainage system in Irving? French drain installations, surface drains and yard drainage system systems such as sump pumps end issues. Contact HD Foundations. We’re drainage contractors that stop water from damaging foundations, including slab foundations and pier and beam crawl spaces. 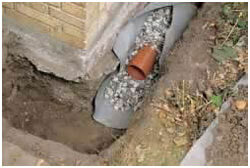 Find out about drainage problems and drainage systems. Install a French drain around your Irving home or consider a surface drain or sump pump. Residential contractors in North Texas utilize French drains and surface drain systems frequently. Of course, sometimes it’s best to install sump pumps in Irving. Foundation drainage correction usually involves French drains, but a sump pump may needed to re-direct surface water. Considering that about 37.5″ of rain falls in this area annually, water can definitely cause foundation trouble. 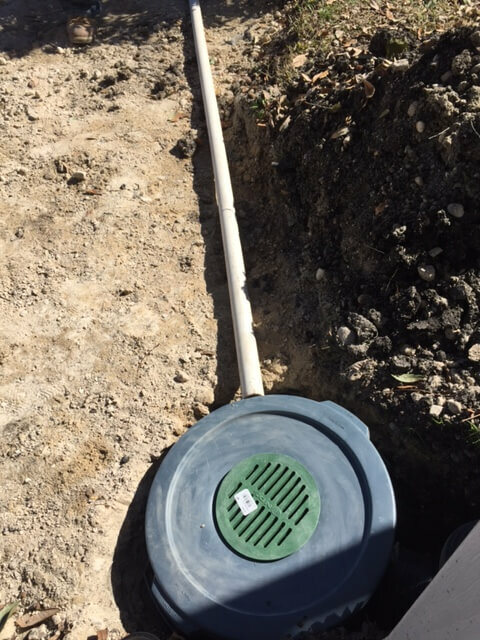 When asked to install a foundation drainage system in the Irving area, contractors commonly use French drains for drainage problems with slab or pier and beam foundations. That’s because they are most effective when dealing with ground water that is creeping beneath a foundation. Standing water (even 1-3″ deep) is a different issue. To move large volumes of water fast, surface drains work best. 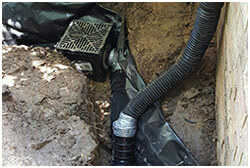 Sump pumps help terminate damp crawl space drainage issues in pier and beam houses that sit in low lying areas. They’re also effective in yards. 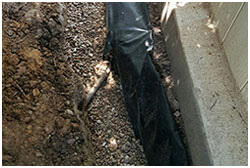 As residential drainage contractors in Irving, the drainage correction solutions we offer work. 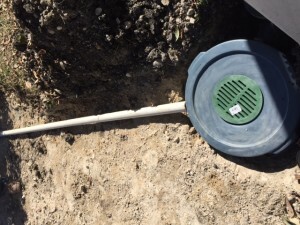 We terminate issues by using drains to direct water away from your foundation. Moisture trapped beneath your foundation can cause upheaval and foundation movement. What’s more, water can enter the cracks in slab foundations as well as harm pier and beam crawl spaces. It’s wise to learn about Irving yard drainage systems. Foundation drainage, foundation repair and water damage are real concerns. Prevent Water Drainage Issues. Get Free Estimates. If you think moisture is impacting your residence, contact HD Foundations. We’ll stop by to see if your property needs foundation drainage correction. Get a free drainage evaluation for a sump pump, surface drain or French drain. Irving drainage system estimates can be scheduled online. Or, if you prefer, please phone us.